Ultra small devices are all making their way into everyone's pockets. People now a days want more from their portable devices than ever before. The ultra portable device market is expected to grow tremendously in coming years. With that we will need more efficient larger and faster storage solutions. The ordinary flash storage will not keep up to it. 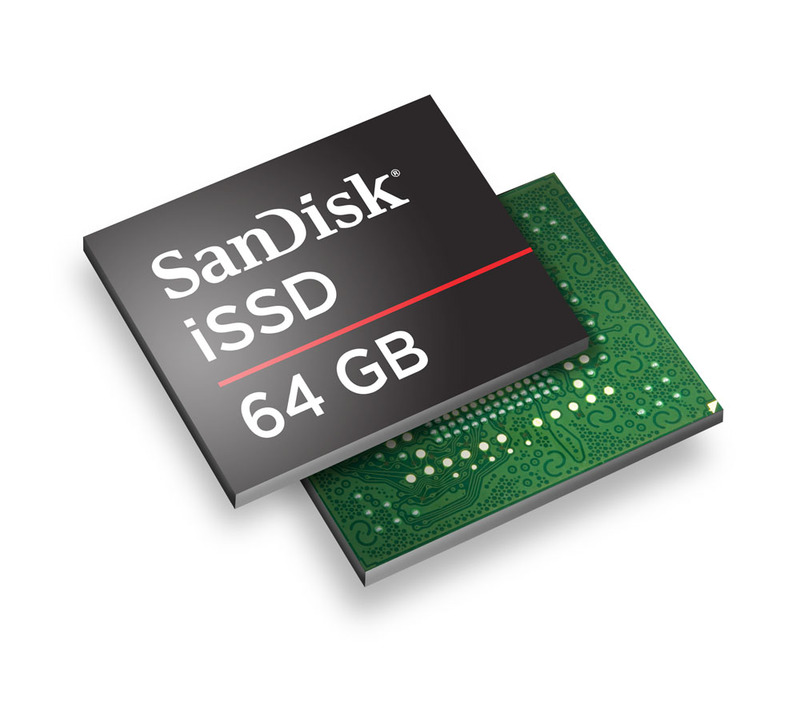 This past week SanDisk announced the world's smallest integrated Solid State Drive (iSSD) which is the size of a postage stamp! The benefits of SSDs are just amazing, they are faster than any other storage solutions, have no moving parts and run cooler and quieter.The SanDisk iSSD drive is the first flash SSD device to support the industry standard SATA interface. Moreover it is an integrable solution package so it can be just soldered on to any mother-board. This makes it possible for OEMs to produce notebooks, tablets and other ultra portable devices with an amazing combination of thin, lightweight form factors with fast performance. The SanDisk iSSD offers a fast transfer rate of 160MB/sec read and 100MB/sec of write speed which is faster than conventional Hard Disk Drives. Due to small form factor it offers design flexibility to OEMs (Manufacturers) so they can concentrate more on the device design rather having to worry about cooling and space issues. This is best suited for the new generation of tablet devices. 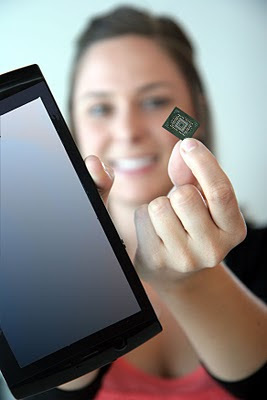 For now SanDisk iSSDs have only been made available to top level OEMs as samples for evaluation and testing. The samples Measure 16mm x 20mm x 1.85mm and weigh less than a gram in weight. The iSSDs are available is sizes ranging from 4GB to 64GB. No details as to when it will be available to general public have been mentioned. So whats in store for is in a couple of years we'll be having computers (Desktop) mother-boards which will probably feature on-board iSSD chips integrated so you wont have to buy a hard drive for basic storage and our laptops will have longer battery life and will get more slimmer and light weight.